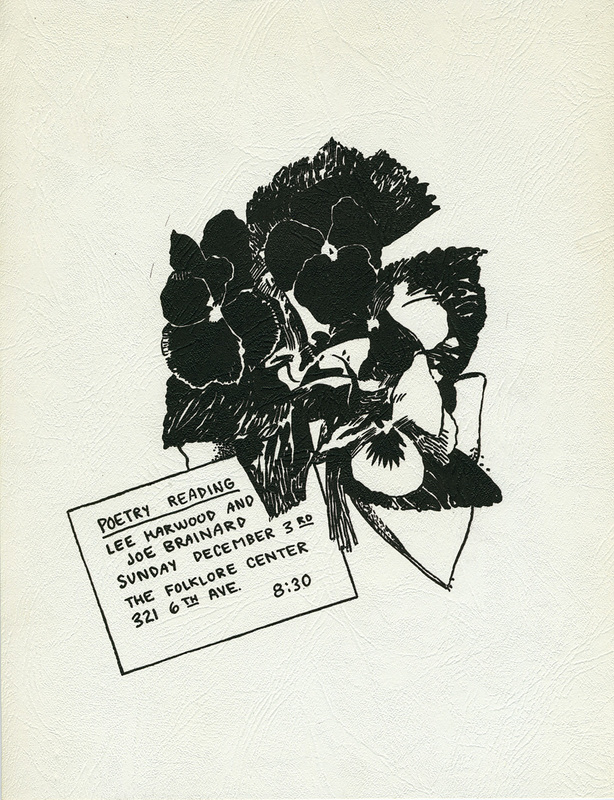 Flyer for a reading by Lee Harwood and Joe Brainard at the Folklore Center, New York, December 3, 1967. Artwork by Joe Brainard. 8½ x 11 inches.